Irish players occupy six of the top ten places with 27-year old international Doran adding a 75 to his opening 73 to keep alive his chances of capturing his first amateur major. 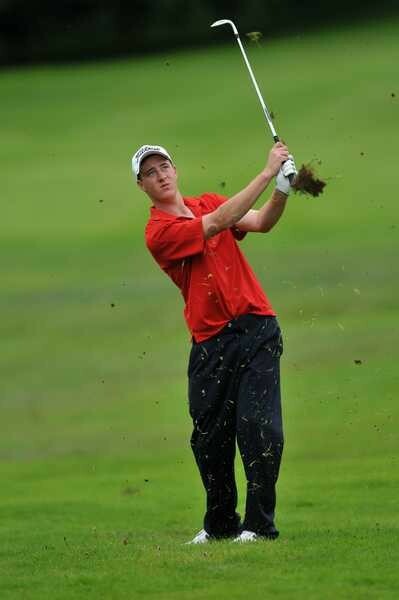 Rathmore’s Alan Dunbar will complete the final three-ball after a 75 left him just three shots off the pace in a share of third place with England’s Ben Loughrey (76) and Galgorm Castle’s David Kernohan (77) on five-over 149. This year’s West of Ireland runner up, Galway’s Eddie McCormack, is four strokes off the pace on six-over after a 77 with The Island’s Brendan Walton, a nephew of Ryder Cup star Philip Walton, a shot further back after a 76. The cut for the top 39 fell at 12 over 156 and despite following his opening 71 with a disappointing 81, overnight leader Jeff Hopkins of Skerries is just six shots off the pace on eight-over. Incredibly, Hopkins’ one under par 71 is the only sub par round carded by the 120-strong field over the first two days. Even more astonishing is the fact that there had been just one round of level par 72, posted by Kernohan on Friday, before Lytham Trophy runner up Kris Nicol of Scotland managed to get round in level fours late on Saturday afternoon. Thankfully for the players, the championship committee showed them some mercy on day two by moving up the tee boxes on holes that had been unreachable into the wind on Friday, most notably the fifth and the 15th. Little more than 100 yards was shaved off the 7,269 yard championship course and while the outward half was a brutal struggle at times with the wind gusting over 20mph, the sun shone. Should they have played off the whites? It certainly would have made for a more pleasant afternoon for the players and the spectators who had turned up hoping to see some decent golf instead of a litany of bogeys, doubles and triples and a host of scores in the mid 80s. With just 10 strokes covering the field and with lighter winds expected on Sunday, here’s hoping for some excitement at last. So far, it’s been pretty grim fare. 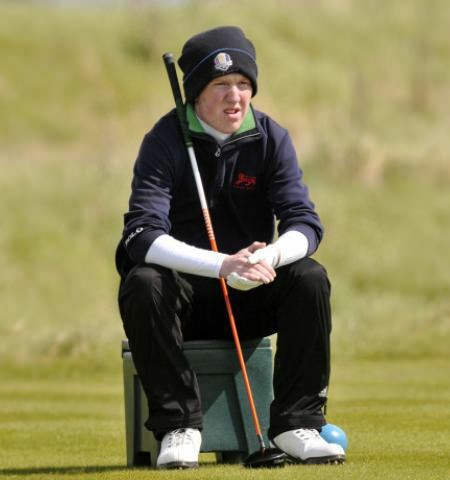 England's Farren Keenan defied winds gusting up to 40 mph to take the clubhouse lead in the Irish Amateur Open at Royal Dublin.